SIERRA Quotes: "The ranking was a result of our initiative to create awareness among the public on Global Warming issues and the urgent need for all buildings on the planet to follow suit. Taking the concept further, we will be sharing and publishing the knowledge we have gained, the technologies adopted and the innovations deployed in our green building openly in various platforms for everyone to improvise upon and replicate freely to make our planet greener and a safer place to live in." 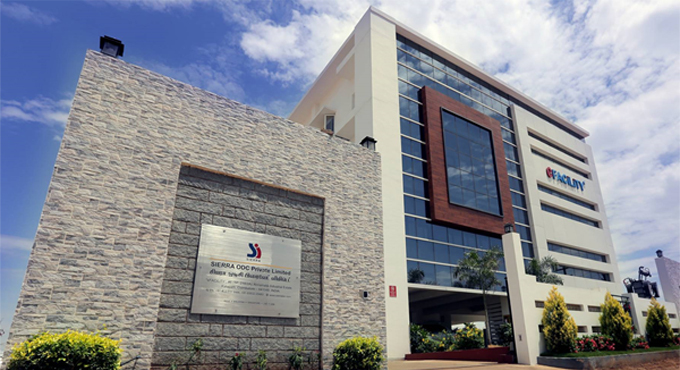 "SIERRA ODC's eFACiLiTY Building has been designed and constructed to be one of the greenest buildings in the entire world," said Mahesh Ramanujam, President & CEO, U.S. Green Building Council (USGBC) and Green Business Certifications Inc. (GBCI). "By certifying this project to LEED, SIERRA ODC has demonstrated a strong commitment to the health, comfort and wellbeing of the people who will visit this building and to their community at large. This project will serve as a model in India and all around the world for how we can create a future that is safe and healthy for our planet and its people." SIERRA is the developer of eFACiLiTY® – Enterprise Facility Management Software, a leading Computed Aided Facility Management (CAFM) Software in Asia & Middle East. SIERRA's clientele includes many Fortune 500 companies and government agencies spread across Asia, Middle East, Australia, USA & Europe.